Residents and businesses in the Galena fiber-to-the-premise pilot project area can now sign up for service. 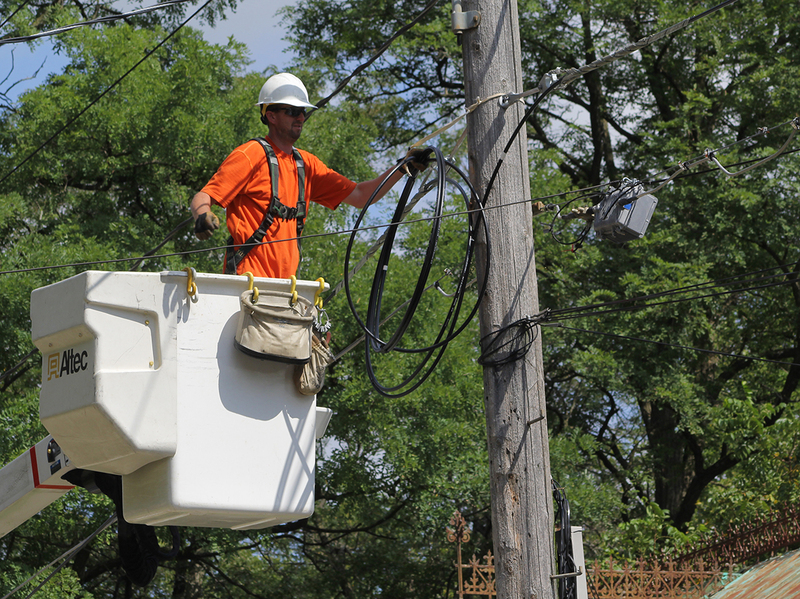 Sand Prairie, a service of Jo-Carroll Energy, offers three fiber packages starting at $74.99. Subscribers within the pilot area will have the installation fee waived if they signup before Nov. 1. 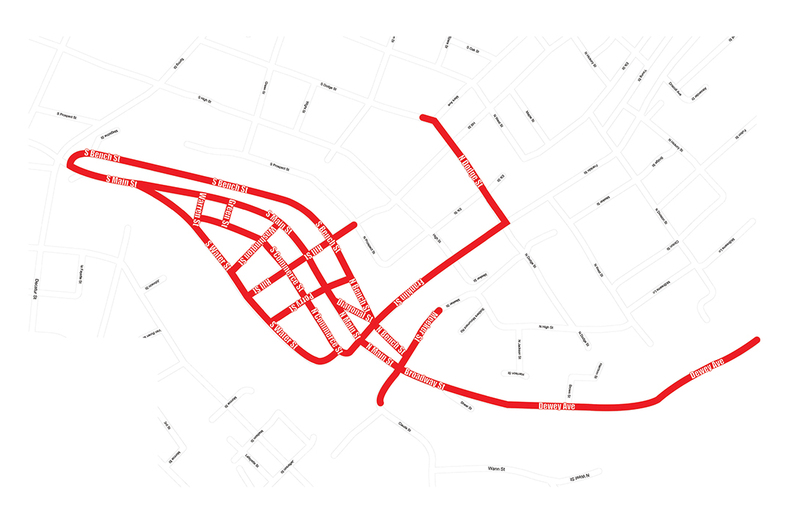 The pilot includes the immediate downtown Galena business district as well as apartments and residences along portions of Commerce, Water and Bench streets between U.S. 20 and Meeker Street, and portions of Franklin Street and Dewey Avenue (see map; streets in red are included in the pilot). Construction of the project got underway in September. 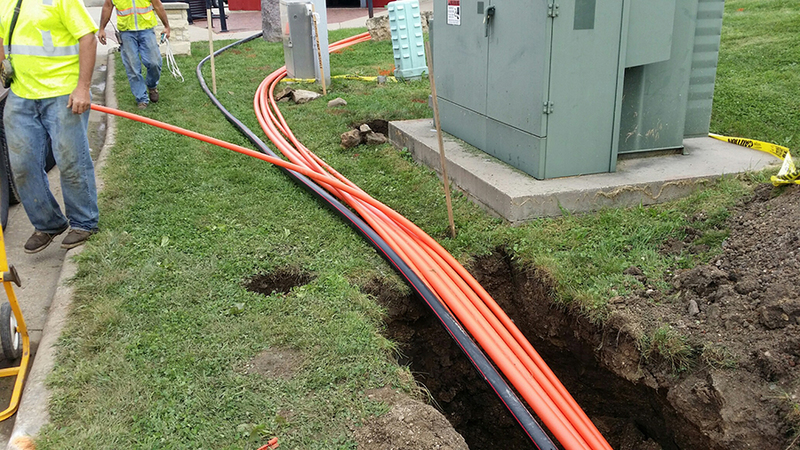 Main line fiber has been installed along Commerce Street as well as the pilot area along Dewey Avenue. 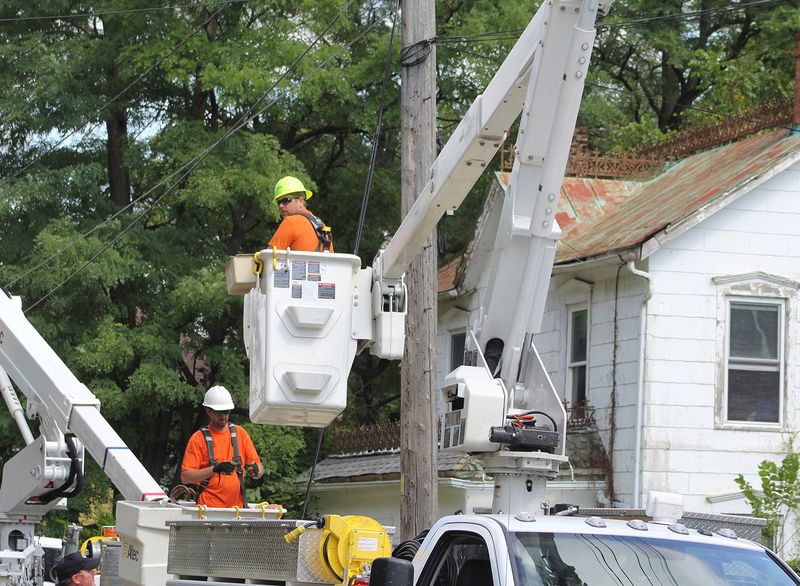 Use of existing Jo-Carroll Energy infrastructure, such as the existing utility poles, and the cooperative’s own line crews for the overhead work has helped realize construction efficiencies, noted Jesse Shekleton, director of engineering. Jo-Carroll Energy line crews are stringing the overhead fiber while contractor J&R Construction has handled the underground and splicing. Vantage Point, a consultant on the project, is contracted to complete installations during the pilot project. Installation of service is expected to begin once construction of the fiber network is complete. To request service, call 800-858-5522 or go online to connectsp.com. Updates will be provided online.